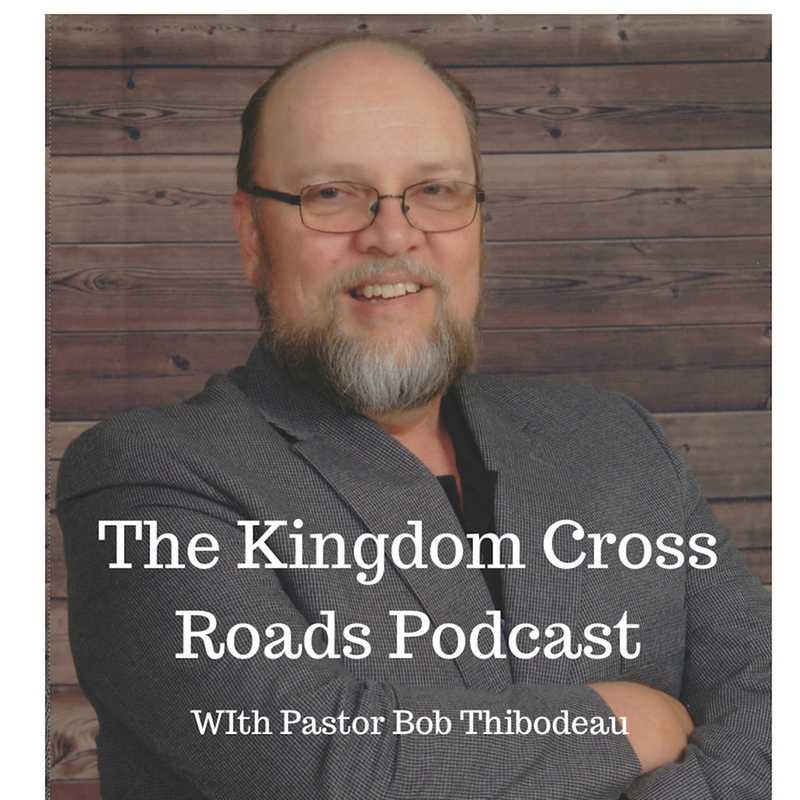 Hello everyone everywhere, this is Pastor Robert Thibodeau and I want to welcome you the Kingdom Cross Roads Podcast today. We are always blessed when you join us – and I would like to quickly ask you to do me a favor – as we get started today. I would like to ask you to subscribe to our podcast! It is easy to do, just hit the “Subscribe” button and confirm that you would like to be notified when we publish a new episode. 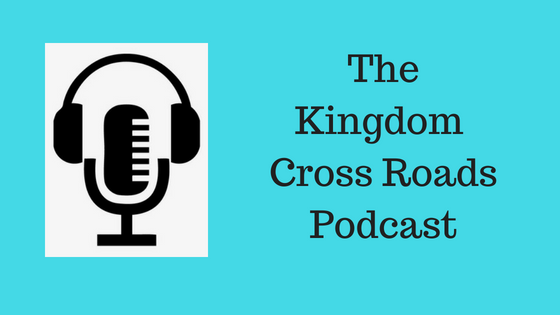 We do not collect emails or anything like that…so you do not have to worry about “spam.” By subscribing, you will have immediate access to the latest published episodes and be able to listen at your convenience. Amen! So I want to thank you for doing that right now…Glory to God. Have you ever considered yourself to be a speaker or teacher? It does not have to be in Christian studies (although that would not, in my opinion, be a bad thing). It could be in basket weaving! It is whatever you are an expert at. Somebody, somewhere, needs to hear what you have to say. I met Dominque Brightmon at a local Toastmaster’s meeting. He was the Master of Ceremony the night I met him. His wit, his speaking prowess, his on stage presence – folks, this guy is the “real deal.” Amen. 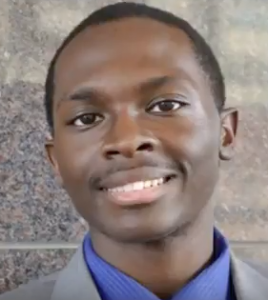 Dominique was raised in the church where he was taught fundamental life lessons and received a head start with public speaking. This early start led him to win 3rd place at a state level speech competition during grade school. (Talk about finding our calling early in life – I was petrified to stand up and give answers to questions in class when I was in grade school)! While in high school, Dominique took a summer job at a public library to gain experience. After a successful summer performance, he was invited to work there part-time. Since then he has risen through the ranks and gained over a decade of customer service experience. Thanks to his work experience and having read hundreds of books, Dominique always leaves his audiences with useful tips and strategies. His aim is to help others become better versions of themselves through reading and other forms of self-development. In addition to his professional experience, Dominique possesses an Associates of Applied Science in Network Technology. His technology experience adds another dimension to his skillset, which has helped hundreds of people to complete their digital resumes and become more tech-savvy. As an active member of Toastmasters International, Dominique has given dozens of inspirational talks and was awarded for his leadership in 2016 as an Area Director. He was the youngest Area Director in the region at the age of 23. Dominique has also appeared on many media outlets such as ELife Media, Fox 45 news, & Toastmasters International Magazine. In addition to appearing on many media outlets, he has created his own called the Going North podcast which interviews authors from all over the world. It has been ranked in the top 10 of all self-help podcasts in the world! AMEN! Glory to God! That’s awesome, brother! But first, help me welcome to the program, the one, the only, Dominique Brightmon! Dominique, thank you for taking the time out of your schedule to visit with us today, brother! Let’s start at the beginning. You were raised in church – and your bio says this provided you a “head start” in public speaking. Explain how this has shaped what you do now. Do you remember what your award winning speech was about – way back in grade school? You took a summer job working at a library. That would not be a place I would expect to find young people looking for summer jobs! How did you come across that job opportunity? And because of that part time employment, you have experienced, I would venture to say, more customer service experience than most young people. How has that shaped what you do today? How did you become interested and associated with Toastmasters? Tell us about your appearance in Toastmasters International Magazine? How did that come about? How long have you been part of Toastmasters? Why do you believe mentorship is an integral success in any area of life? Your bio says your goal is to help others become the best version of themselves possible. Tell us a couple of ways that you accomplish that? First, what was your inspiration in starting this podcast? Ok. Your podcast has been rated, what was it, the “top 10” in the world in your niche? That’s awesome! How did you accomplish that? Your book was written to help your readers “develop and maintain a positive attitude.” I understand that your attitude determines your altitude – reference back to my Private Pilot training…but how do you help your readers to do this? How to become a better thinker? How does your book help your readers accomplish this in their life? I am also an avid reader. I read, probably on average, two books per month…sometimes more. I’ve been doing this for 20 years or so. Prior to slowing down to two books per month, I guess I may have been reading 3-4 per month. I know I have four bookcases completely packed out…and two huge boxes of books that I just ran out of room and had to put them in storage. Some people learn by listening, others by watching and others by reading. Some by a combination of those three things. I am mainly a reader – but because of the time element in my ministry responsibilities, I’ve transitioned into a combination, I would say, 50% reading; 30% audio and 20% video. And that 2 books per month is at the 50% level. Actually, I can remember when my desire to read actually started at that level. I was an officer in the Army – in the Cavalry – and my Squadron Commander, as part of our leadership development program, required his officers to read at least ONE leadership book every month. I soon found myself running out of the typical leadership books, so I started going to the Library and checking out a book about every three weeks. This way, I could always stay a little bit ahead on my reading. I it just continued to grow from there. That was 30 years ago. But I did not really “ramp up” my reading until about ten years later. So, if I had to put a total on how many books I’ve read, including re-reading…over the last 30 years…I would have to say four or five hundred…easy. Tell us how you became such and avid reader? What started you down this path? What is your favorite book that you have read over and over? So, is your book available in bookstores, Barnes and Noble, Amazon, etc? I’ll put the link to Amazon in the show notes. Is your book available in Libraries? Give a quick plug to Toastmasters. If someone wants to become a better public speaker – why is Toastmaster the right choice? How can they become involved with Toastmasters? Dominique, if someone wanted to get in touch with you, perhaps to ask you a question or maybe even request an interview such as this, how can they get in touch with you? That’s awesome. I want to thank you for taking the time out of your busy schedule to visit with us today. Folks, I want to encourage you to reach out to Dominique Brightmon. Go to his website at dombrightmon.com and check it out. Go and visit his podcast site, “Going North” – available through his website and I will have link to both, the website and podcast in the show notes below. And I especially – hear me now – I especially want you to purchase his book “Going North.” You need to get this book and add it to your personal library; your personal reading list. Not only will this book give you the encouragement to face and overcome adversity in your own personal and professional life – but you just may be that person that God will use to bring encouragement to someone else’s life as well. You may read and retain something that the Lord will be able to bring to your remembrance at that particular time when you can offer encouragement to someone else who needs to hear from God – and you are the one He uses. Amen! But you can’t do that if you do not have the knowledge at hand. Dominique has taken the time to gather the inspirational quotes and stories that will equip you to be a blessing to, not only yourself and your family, but to others around you as well. Click the link below and order your book “Going North: Tips and Techniques to Advance Yourself” today. Dominique, I want to thank you again for taking the time to visit with us today and I look forward to staying in touch, brother! Glory to God!